There is a sad expression about Brazil that roughly translates: “Brazil is the land of the future, but we’re still waiting for the future to arrive.” Brazil’s destiny is often debated among politicians and journalists and everyday Brazilians, who are eager to begin the future now. What does Brazil need to start now? Some people believe the coming World Cup and Olympics are going to jump-start Brazil’s future. Certainly, Brazil is building some beautiful new football stadiums, and there are infrastructure improvements in progress to the roads, tunnels, trains, ocean ports, and airports. For short-term challenges of logistics, these upgrades will be a valuable improvement. Brazil needs greater airport, shipping and port capacity. Many cargo ships arriving in Brazil face huge delays waiting to unload their goods, particularly at smaller ports like Paranaguá in Paraná. However, it remains to be seen whether these infrastructure improvements will have a lasting effect on the country’s long-term problems like crime and education. These complicated issues will not be solved simply by the influx of additional money; money isn’t enough. One theory on how to approach Brazil’s long-term problems is to recognize the central role of Brazil’s political crisis. Brazil must find a way to abolish political corruption – this is the key to Brazil’s future. There have been some public protests against corruption recently, mostly by students. On Independence Day 2011, 25,000 people assembled in Brasília in the “March Against Corruption.” The student protesters stood alongside the Independence Day Parade after organizing on Facebook and Orkut. A month later in October, for the holiday Nossa Senhora Aparecida, 20,000 again marched in Brasília and 2,000 in Rio on the same theme, waving green and yellow brooms. In Curitiba, there was a small protest against political corruption with some marchers wearing white Guy Fawkes masks, a British protest symbol made famous in the science-fiction film, V for Vengeance. Unfortunately, student power is limited. It’s only through the efforts of people within the government who have the courage and power to stand up against corruption that the endemic atmosphere of political corruption in Brasília and throughout the country can be changed. One such man is Joaquim Barbosa, head of the Supreme Court. Another bright prospect for Brazil’s future and the fight against corruption is the growing power of the media. Veja magazine played a prominent role in exposing the Mensalão scandal, headed by Barbosa. Meanwhile, this year the Brazilian version of The New York Times will launch. This powerful American newspaper, respected worldwide, has offices in Brazil with a small staff reporting on events relevant to the rest of the world. However, this year for the first time there will be an online version of The New York Times in Portuguese. 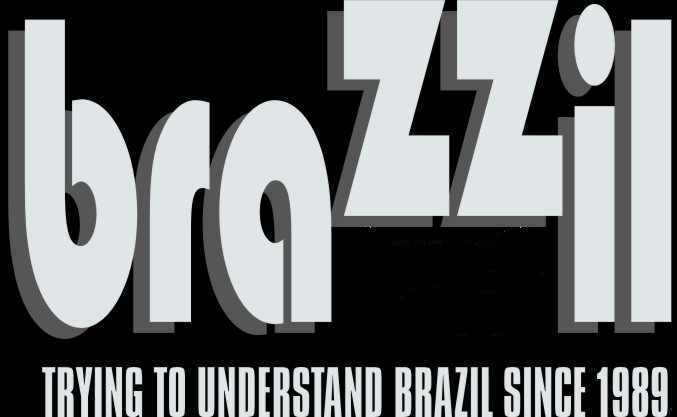 Even more important, the new version of the newspaper will be specifically geared for Brazilian readers with half of the articles being written by Brazilian journalists. The presence of The New York Times in Brazil will be the newest force towards ethical accountability among politicians. The power of the media – whether it’s traditional media like newspapers and magazines or social media like Facebook – to mobilize public opinion and stimulate protest is greater than all other forces. Every issue of social responsibility from prison overcrowding to the ranchers destruction of the Amazon forests benefits from media attention. The more people know about injustice, the more likely there will be a solution. That’s why journalists sometimes are harassed and even killed when they make information public that is detrimental to the wealthy and powerful. According to the journalism organization, Reporters Without Borders, five Brazilian journalists and bloggers were murdered in 2012, making Brazil the world’s fifth deadliest country for media personnel. The media has the power to motivate and mobilize social protests, but nothing will change without the support of the general population. Corrupt politicians cannot be defeated if their supporters continue to vote for them. This has long been a problem in Brazil, where some brave journalists are willing to expose corrupt politicians only to have the politicians re-elected when their terms expire. Some researchers note this error in public judgment is common in countries like Brazil that have a mandatory voting law. With everyone voting, political issues often take a backseat to public notoriety. People with name recognition are sometimes elected without any background in politics. Often the name recognition comes from a family member, not the candidate himself. Many believe that compulsory voting, as opposed to voluntary voting like in the US, creates opportunities for the approval of inexperienced or corrupt candidates. Besides exposing corruption and keeping these men from getting elected or re-elected, the other critical tool to solving political corruption is to send convicted politicians to jail. As of today, even with several people convicted, including a 40-year sentence being handed out by Barbosa at the Mensalão trial, not one politician in that scandal has gone to jail. With strong public opinion supported by an independent media pressuring for clean politics, perhaps the cult of corruption can be changed. It is a long fight and a problem that won’t be solved easily. Many politicians are honest and hardworking, particularly when they are first elected. But the atmosphere of corruption and temptations of power and money are so pervasive in Brazil that it’s difficult even for the best politicians to resist. To alter Brazil’s future, the legal justice system in Brazil needs to be re-structured. It’s not so much a problem of judicial corruption these days, but an antiquated legal system with too many loopholes and appeals and too much bureaucracy. It needs to be streamlined. There are numerous laws to protect workers and consumers, but the laws aren’t being enforced. If you want to stop people from drinking and driving, or parking their cars illegally, there must be greater enforcement and higher penalties. Brazil needs more police, more detectives, more forensic technology. Brazil also needs more government lawyers – there are people languishing in prisons for years waiting for their first court appearance who have never met with a lawyer, even though it is their legal right, because they don’t have the money to hire a private lawyer. Most critical, Brazil needs to invest in more courts and judges. This is a place where a direct infusion of money could launch Brazil into the future. There are plenty of qualified candidates to serve as competent and honest judges. Not all problems are solvable with money, but some are, like hiring more judges and government lawyers. Another example, the problem of police corruption has been greatly reduced in the last few decades by raising the salaries of the police, particularly the Federal Police. When employees of the Federal Police are making monthly salaries of R$10,000 or more, there is much less chance they will risk being caught in a propina scandal. In the same way, a massive influx of government money could greatly improve public education in Brazil, for example by doubling the number of schools and teachers and sending children to school all day as they do in industrialized countries, Brazil could make a huge leap forward. However, Brazil’s future has promise. With the arrival of a powerful media organization like The New York Times, perhaps Brazilians will finally prove they are sick of political corruption. If people believed their tax money was being spent on worthwhile problems instead of new mansions for politicians, there would be more funds available for improving the education and legal systems. Honest politicians could begin Brazil’s future now and set an example for the rest of Brazilians.